Of the terms listed below, are there any you already know? Talk with your neighbor about definitions you’re familiar with! 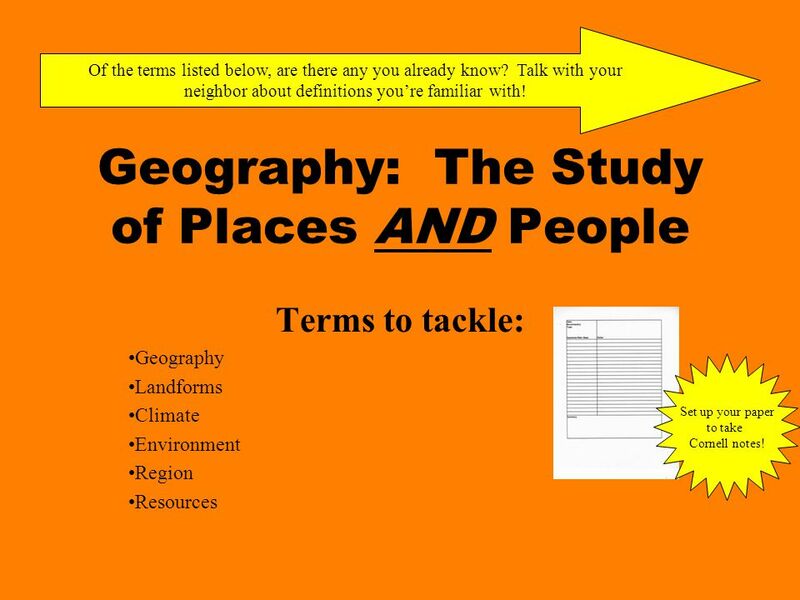 Geography: The Study of Places AND People Terms to tackle: Geography Landforms Climate Environment Region Resources Set up your paper to take Cornell notes! 2 What is culture? Do you have a culture? If so, what does it include? Geography Geography is the study of the earth’s physical and cultural features. These features include mountains, rivers, people, cities, and countries. 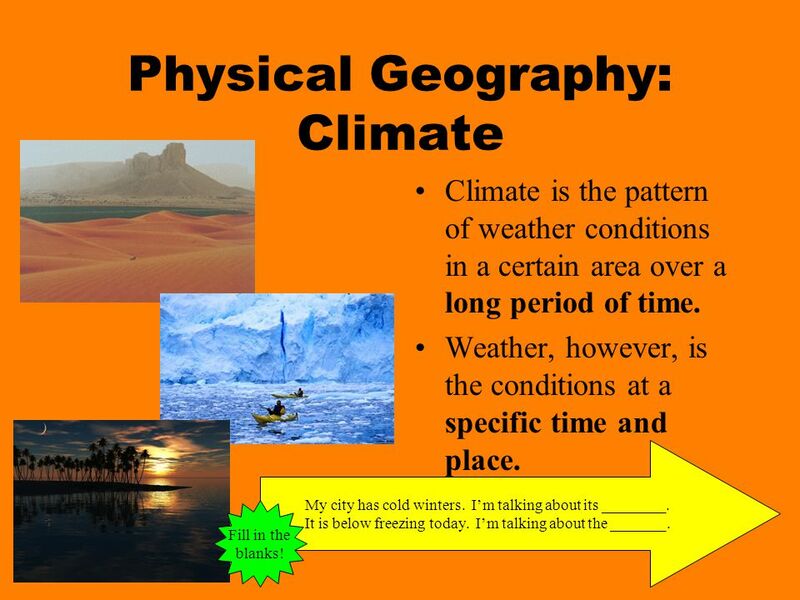 Geography is broken in two parts; Physical geography and Human geography! Landforms are the natural features of the land’s surface. Some landforms include mountains, valleys, plains, and canyons. 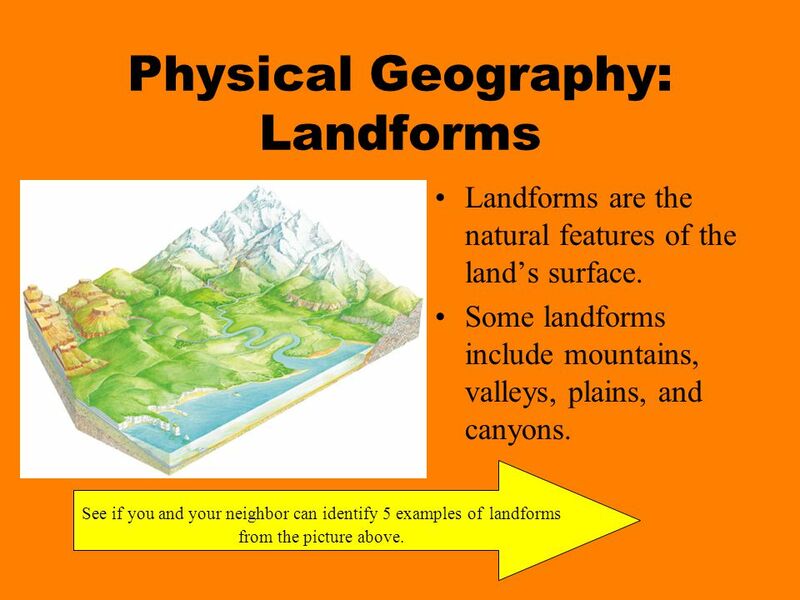 See if you and your neighbor can identify 5 examples of landforms from the picture above. 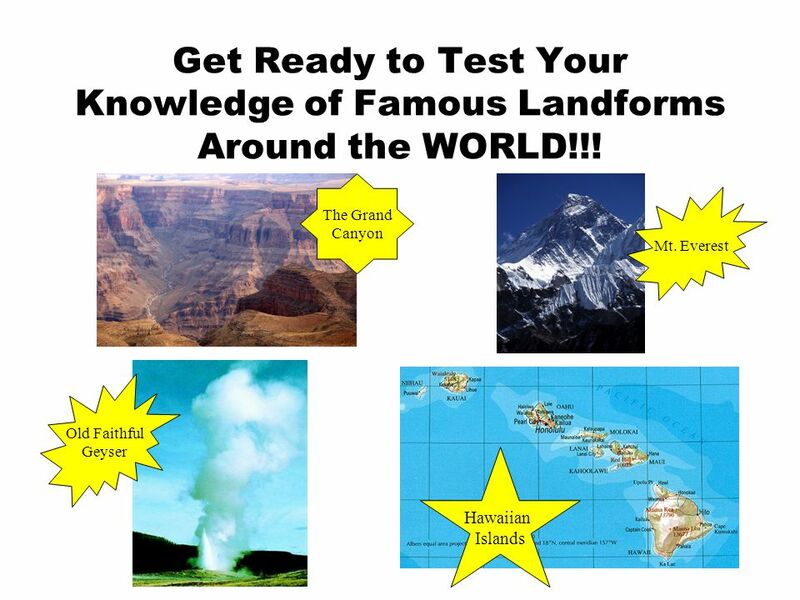 4 Get Ready to Test Your Knowledge of Famous Landforms Around the WORLD!!! Climate is the pattern of weather conditions in a certain area over a long period of time. Weather, however, is the conditions at a specific time and place. My city has cold winters. I’m talking about its ________. It is below freezing today. I’m talking about the _______. Fill in the blanks! An environment includes all living and nonliving things that affect human life in an area. Environment includes climate, land, water, plants, soil, and animals. Talk to you neighbor about how water, climate, and soil affect humans. 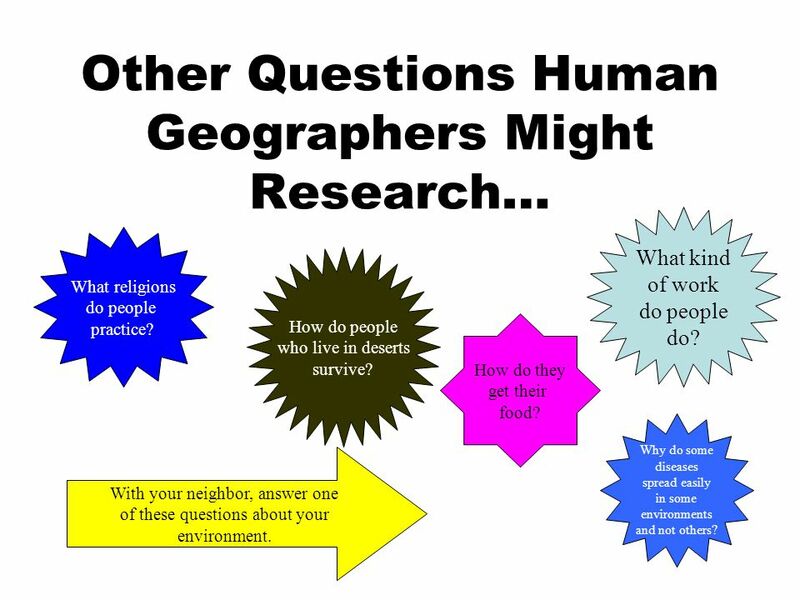 Human Geography Human geographers study humans and their cultures. Human geographers also study how the environment affects people. This is a picture of the Dogon people of Mali. What are the two main branches of geography? What kind of work do people do? What religions do people practice? How do people who live in deserts survive? How do they get their food? Why do some diseases spread easily in some environments and not others? With your neighbor, answer one of these questions about your environment. 9 Regions are basically ways geographers organize land or people into different pieces. 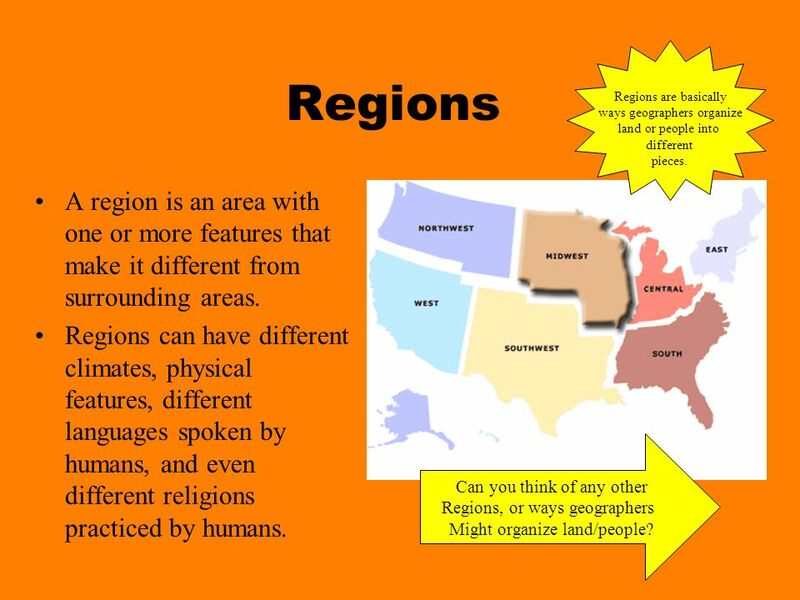 Regions A region is an area with one or more features that make it different from surrounding areas. Regions can have different climates, physical features, different languages spoken by humans, and even different religions practiced by humans. Can you think of any other Regions, or ways geographers Might organize land/people? 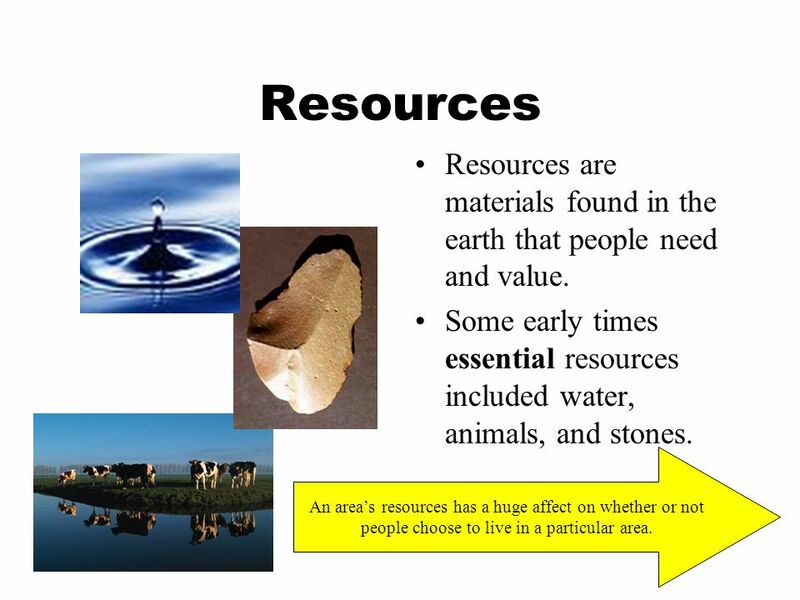 10 Resources Resources are materials found in the earth that people need and value. Some early times essential resources included water, animals, and stones. An area’s resources has a huge affect on whether or not people choose to live in a particular area. 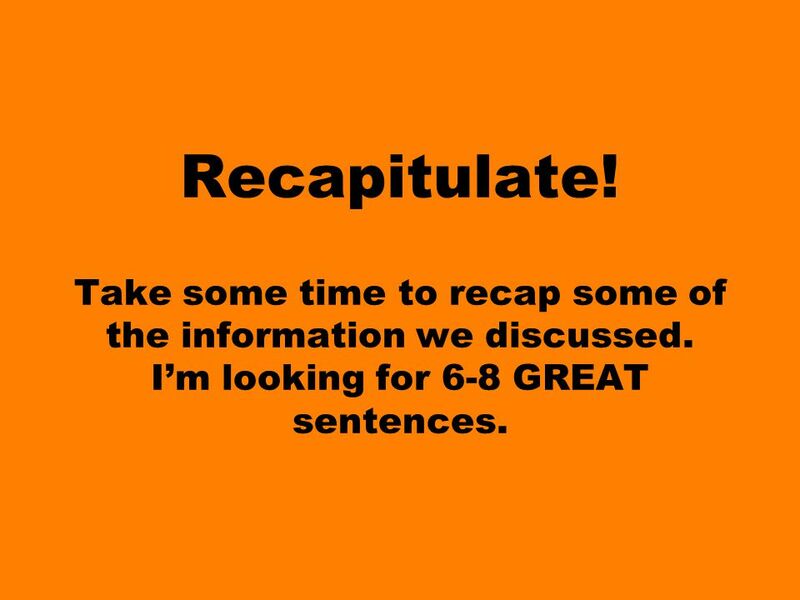 11 Recapitulate! Take some time to recap some of the information we discussed. I’m looking for 6-8 GREAT sentences. 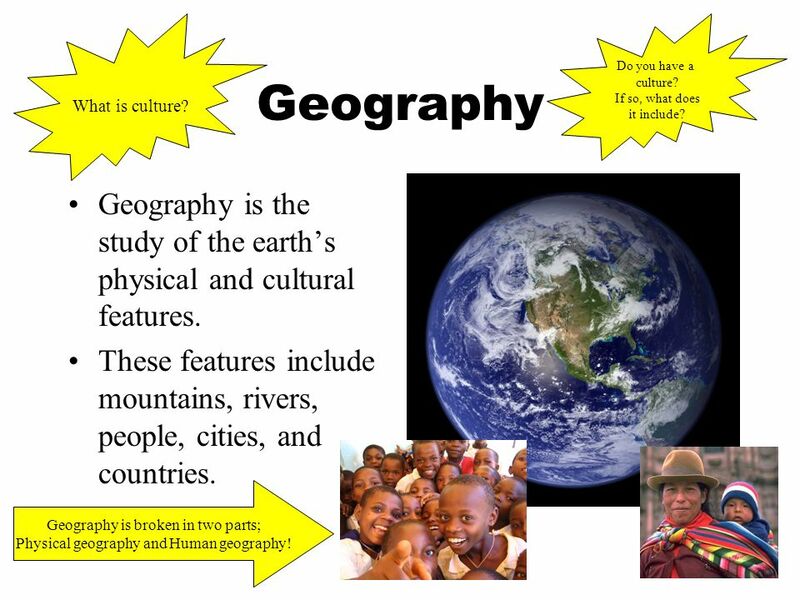 Download ppt "Geography: The Study of Places AND People"
Landforms. The shape of the surface of the land Mountains An area of land that is much higher than the surrounding land. Landforms Grade 3 Learner Expectation Content Standard: 3.0 Geography enables the students to see, understand and appreciate the web of relationships. Bell Work Topic #3 Title – Studying the Past 9/3/13 WAR: 1) Write in agenda for the week 2) Skim through p & draw 2 pictures on your Unit 1 Preview. Don’t forget to tell them about interviews!!!!! Interview 6 people – come up with a statement. You will present this to class on FRIDAY! World Geo Unit 1- Lesson 1 Ms. Crone 2012. What is Geography? 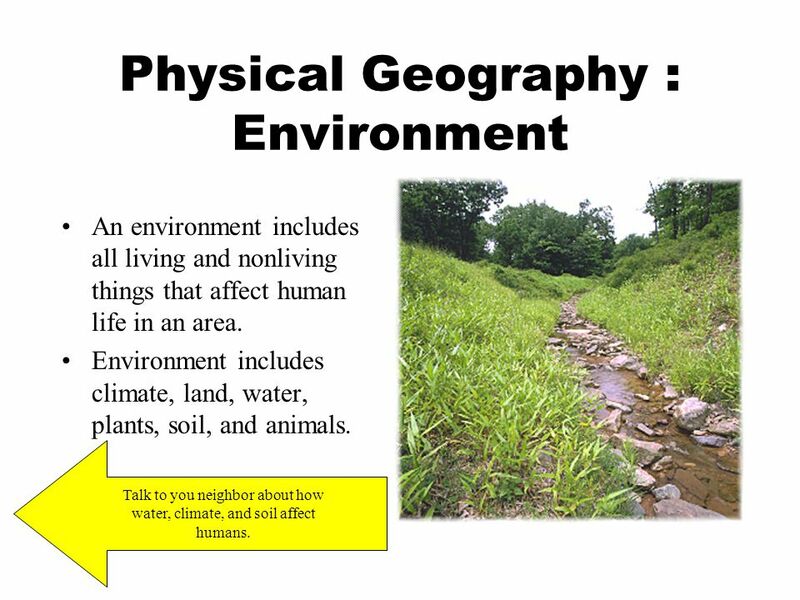 Geography is the study of the land, water, plants, animals and people of a place Fourth Grade Science and Social Studies. Whenever you see me, click on me to learn more!